It looks like there was a pickup party at Fox today, as the network has given series orders to four new dramas and two new comedies. Of those six, one is based on an old movie, one is based on a different old movie, and the other four aren’t based on movies at all, so this is a pretty wide-ranging group of shows. This comes from Deadline, which says that all six shows were “frontrunners,” so the only surprises should be which of them will be unjustly canceled after one season, which ones will be rightfully canceled, and which ones will continue on without anyone feeling too strongly either way. First up is the dramas, which include The Exorcist, Lethal Weapon, APB, and Pitch. The Exorcist is based on the movie (and book) of the same name, and it’s said to be a “modern reinvention” of the story starring Alfonso Herrera, Ben Daniels, and Geena Davis. 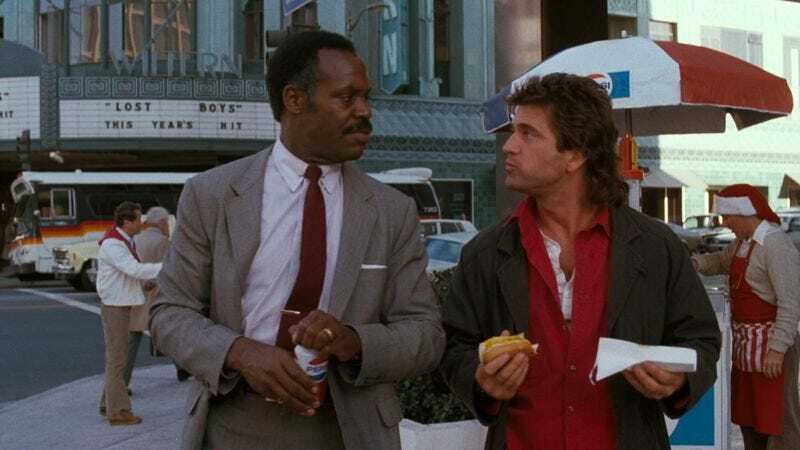 Lethal Weapon is also based on the movie, and it stars Clayne Crawford as Martin Riggs (Mel Gibson’s role) and Damon Wayans Sr. as Roger Murtaugh (Danny Glover’s character). APB comes from Len Wiseman (director of the Underworld series of films), and it’s a cop show about a tech billionaire who buys a police precinct and modernizes it with his rich guy money. Finally, Pitch is about a woman who becomes the first female player in Major League Baseball. Over on the comedy side are Making History and The Mick. Making History comes from executive producers Phil Lord and Chris Miller, and it stars Adam Pally as one of three friends who find a way to travel through time and visit some of history’s greatest moments. The Mick stars It’s Always Sunny In Philadelphia’s Kaitlin Olson, and it’s about a “hard-living, foul-mouthed woman” who gets stuck raising her wealthy sister’s bratty kids.